Changes are coming to the Driving Test on Monday 4 December. This is something I respect. People who are wanting to change their life / career should have an idea of the direction they want to go in - I would be disappointed if they didn’t. Read more about To be a Franchisee or not? In an article today, it is claimed that three years ago, a study by the Transport Research Laboratory (TRL), at the behest of the Department for Transport advised a one year learning programme, with a minimum of 120 hours (20 of which would be evening / night driving) all documented in a logbook. This was shelved at the time, it is claimed, because David Cameron did not want to appear to be at war with motorists. Read more about Learners required to do 120 hours before test? 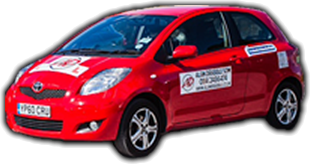 We offer Driving Instructor Training for anyone wanting to start their career change, rescue training for anyone who has tried training with others, perhaps having failed one or more exam. Also we can offer Standards Check training, ongoing CPD to develop driver training standards and career opportunities. There is a total lack of awareness about winter tyres. Either motorists are not aware they exist or they think that a winter tyre can only be used in heavy snow or ice. While it has always been illegal to drive whilst unfit through drink or drug, since 2nd March 2015 it is now an offence to drive while over the prescribed limit. This means that driving while unfit due to medication carries the same consequences as drink driving. It is also worth mentioning that 8 general prescription and 8 illicit drugs were added into new regulations in England and Wales. As tweeted out by the South Yorkshire Police, "Your next trip might not end on a high". From 8 June 2015, the photocard licence counterpart will not be valid and will no longer be issued by DVLA. ADSOM's new and updated website has just gone live ready for 2015! Some of our resource pages are still a work in progress, so please bare with us.